"Trolling amounts to hitting below the belt. We do not support those who display such aggressive nature." Bhagwat was quoted in a series of tweets posted by Prasar Bharti Chairman A Surya Prakash. 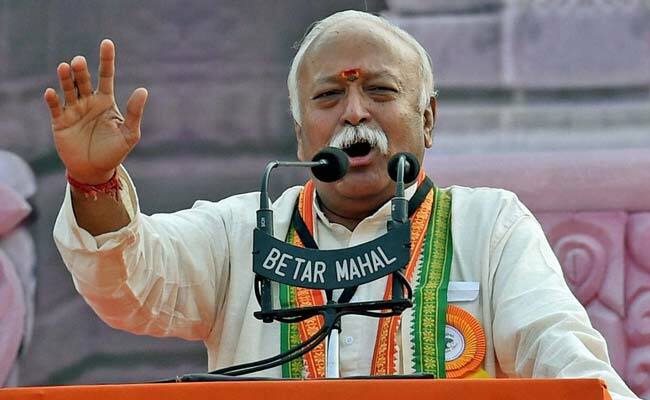 New Delhi: RSS chief Mohan Bhagwat today said his organisation does not support trolling and aggressive behaviour on the net as it amounts to "hitting below the belt". He was speaking at an interactive session in New Delhi with foreign diplomats from more than 50 missions. "Trolling amounts to hitting below the belt. We do not support those who display such aggressive nature. We do not support trolling and aggressive behaviour on the net," Mr Bhagwat was quoted in a series of tweets posted by Prasar Bharti Chairman A Surya Prakash who was present at the event. Besides addressing the diplomats, Mr Bhagwat answered questions at the event organised by the India Foundation, a right-leaning think tank. "No discrimination and oneness of our nation and oneness of the world is our goal," said another tweet by Mr Prakash quoting Mr Bhagwat. Mr Madhav, who was incharge of media and public relations of the RSS for a number of years before moving to the BJP, is a director of the India Foundation along with Mr Prakash.